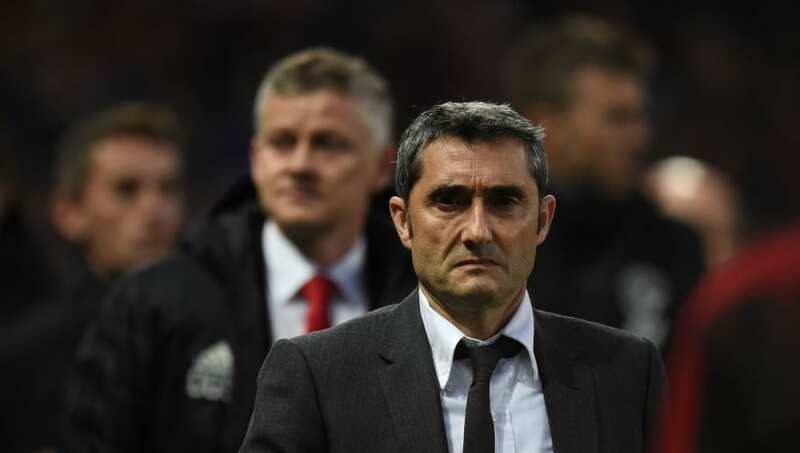 ​Ernesto Valverde said that Lionel Messi, who suffered a rough encounter with Manchester United defender Chris Smalling, needs further examination after Barcelona's 1-0 win over United in their Champions League quarter final first leg on Wednesday night. The visitors secured their first ever victory at Old Trafford thanks to Luke Shaw's early own goal, putting Barcelona in the driving seat ahead of the second leg next week at the Camp Nou. Speaking after the match, as per ​Marca, Valverde felt his side had the better of the opportunities at the Theatre of Dreams, however admitted that it was anything other than straightforward, despite Marc-Andre ter Stegen not having a save to make during the match. "When you see the atmosphere here and the team they have and it being the Champions League, it's hard to win here," he said. "It was a difficult game and complicated at times, but we had the clearest chances." There was some cause for concern midway through the first half for ​Messi as he was left with a bloody nose and bruised cheek following a robust challenge from Smalling. The ​United defender left the Argentine in a heap, in what was an otherwise quiet evening for the 31-year-old. Valverde added: "Messi wasn't so comfortable after the blow. We have to examine him tomorrow to see how he is. He was strong, but he has quite a significant bruise." One player who has come under criticism for ​Barcelona this season has been ​Luis Suarez, whose long goal drought away from home continued - having not found the back of the net on the road since September 2015. However, Valverde was quick to shoot down the striker's critics, instead focusing on his other qualities. Luis Suarez has taken more shots without scoring than any other player in this season’s #UCL. "They'll keep asking me about Suarez then. The value of what he does doesn't depend on whether or not he scores, but what he generates."